Donna Behr PT, MS, DPT, PRC has done it again! 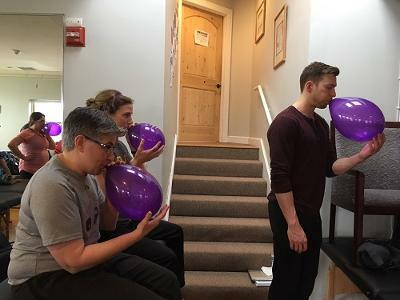 She hosted Postural Respiration at a new location in Needham, Massachusetts and attendees from all walks and locales came to learn the wonderful science that is PRI! In a plush Yoga Studio we removed our shoes and started our walk! A walk into human mechanics as it is rarely explored. Along the way I had the gracious help of Anita Furbush PT, PRC as a lab assistant. Mike DeMille DPT, PRC and Eric Menchi CSCS, PRT pitched-in as well to offer a hand in the labs too! So many are mystified when I mention to them that Ribcage and Diaphragmatic dysfunction is a root cause of many orthopedic diagnoses. But following a Postural Respiration class they all agree that it is not only possible but the most likely reason for multiple orthopedic diagnoses! I invite you all to attend this fascinating class and explore the world of human asymmetry as it has never been explored before. PRI Nation is sweeping the nation! I remember initially meeting Dr. Davidson in February of 2014, in Philadelphia, at a Cervical Cranial Mandibular Restoration course. It was his first PRI course. He has attended 20 PRI courses since that date and has helped countless students and individuals understand the human behavior from an adaptative, evolutionary and survival perspective. After looking at his material for his presentation on “The Resistance as Reference, and the Loss of Authentic Environments” I know anyone who has an interest in “authentic elements of resistance” will not want to miss his perspectives on how to recognize it and benefit from it. “With the loss of resistance built into our environments, many of us are losing a sense of purpose, have no clear direction in life, and feel unsatisfied’. Pat is an open –minded, liberated, inquisitive and receptive individual with a background that makes him highly qualified for this symposium and topic. And I can still remember his 2014 symbiotic smile and look forward to seeing it again in 2018! Learn more about the 2018 Interdisciplinary Course here. In the fall of 2017, Jen was contacted by Jessica Tidswell, PT, ATC, SCS, PRT, assistant professor for the Physical Therapy and Athletic Training programs at the University of Utah. We have requests for information, providers, course questions and many other inquires on a daily basis, but the request Jess had was different. She has the pleasure of working closely with the graduate athletic training students, and instructs several graduate courses while remaining clinically active through the University. She typically offers an Independent study as part of this course work and had a strong desire to somehow include PRI concepts as part of her 2017 fall semester. Jess has taken several PRI courses including all three primary courses as home studies, and after her conversation with Jen it was determined that our home study would be the perfect fit. Jess decided to focus the entire semester’s independent study on Pelvis Restoration. We were thrilled to have our course be the focus of a graduate level review and after a few more conversations with Jess, we had them up and running. 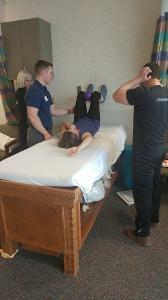 Not only was this the first time the Home Study was used in this way, but she later decided to follow-up the fall semester this spring with the Myokinematic Restoration course for another semester long independent study. Jess is a pioneer in more ways than one. Receiving a Doctor of Physical Therapy in 2002, Jess was clinically active for several years before deciding something was missing. Her background and passion in Exercise Science and Athletic Training led her to return to school, as a student, seeking her second Bachelor’s degree in Athletic training. Jess recently completed her PRT credentialing and is the first DPT, ATC to be credentialed in our Postural Restoration Trained™ (PRT) credentialing program. Highlights from several of the students who were a part of this Independent study can be read below, and an interview of PRT Jessica Tidswell can be read HERE. 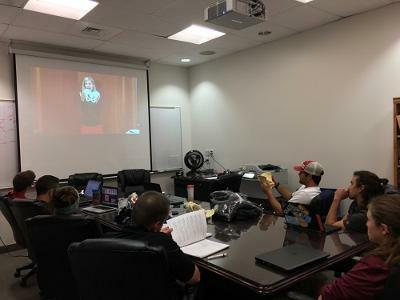 Thank you to Jess, and the students from the University of Utah, who continue to seek a better understanding of our science, and make these semester reviews a success. If any educators are interested in setting up similar Independent Study courses, please feel free to contact me! Upon signing up for this semester-long independent study Pelvis Restoration home study course, how much knowledge of Postural Restoration® did you have if any? If this was your first exposure to the science, what stood out the most to you about this novel way of looking at human asymmetry? As you got closer to the end of the semester did the course material challenge your thinking, or way of looking at certain injuries or dysfunction, that you encounter as an Athletic Trainer? What are some of the ways that you plan on implementing this material, or how do you see this material being utilized in your setting in the future. You expanded the dental arches, inserted a well fitted oral appliance for sleep and/or TMJ …. the patient is better ….. but something is still missing. It could be airway mal-alignment due to cervical dysfunction, cortical visual processing, asymmetrical postural patterning or a combination of all three. Did you know that the way your airway functions and the way you breathe reflect the foot you like to stand on? The position of the neck affects the airway. Ron Hruska, founder of the Postural Restoration Institute, will introduce you to new and exciting concepts that incorporate vision, posture, and occlusion for more optimal airway function. Any practitioner treating airway must attend this webinar. Ron Hruska, MPA, PT, has a strong interest in myokinematic and biomechanical influences on postural and peripheral adaptation patterns. His 32 years of clinical experience assists him with direct patient interventions based on specific examination and evaluation data that best reflects neuromechanical stability, trunk symmetry and respiratory balance. He lectures extensively and consults regularly with physicians, physical therapists, optometrists, dentists, and other health care providers across the United States and internationally on patterned postural position and pathology and his approach of restoring symmetrical balance using PRI principles. His reputation has led to consultations with collegiate and professional athletes from a variety of arenas, states and countries. He is a graduate of the University of Nebraska Medical Center, Division of Physical Therapy. He currently is a member of the American Physical Therapy Association. Ron serves as a Biomechanical Consultant to the University of Nebraska-Lincoln through the Division of Athletic Medicine. He has patented Prism and Priori PRI Aquatic systems. He is co-founder of PRI Vision, LLC. He is Director of the Postural Restoration Institute ® and consults and practices at the Hruska Clinic, Restorative Physical Therapy Services, and PRI Vision Clinic in Lincoln, Nebraska. James and I traveled to Missouri this past weekend to present PRI Integration for Fitness and Movement. Special Thanks to Steve Long and the Complete Fitness Results staff for their wonderful attention and assistance hosting. Also special thanks to Nancy Hammond, PT, PRC for all her coordination and support getting this course to St. Louis. We had an AWESOME group! Thank you to all that attended! We introduced the PRI Science and covered key principles to shape trunk stabilization and empower proper grounding and single leg control. Lots of lab time was valued on Sunday. 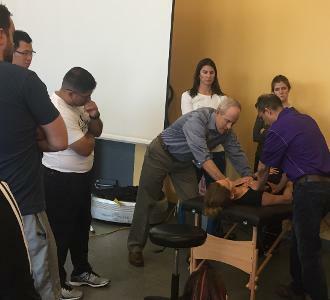 Our focus was dedicated to helping attendees feel and connect with the programming material and learn how to organize the pelvic thorax mechanics to optimize proximal control. This course does a great job tying key concepts together and helping to get our clients moving in and out of movement patterns. So grateful for this group! It really was a great weekend! I grew up just 4 hours west of the Minneapolis-St. Paul area, both of my parents are University of Minnesota grads, my aunt received her PT degree from U of M, and my mother is born and raised in St. Paul, so I am very familiar with the area. While not a true "home game" for me, I was in familiar surroundings. The Minneapolis-St. Paul area has long been a hot-bed of PRI interest and practitioners. We had a great mix of professionals who were new to PRI, those who have taken a few PRI courses, and those who have been using the science of PRI for many years. We were very fortunate to have Karen Jiran as one of our lab assistants. Karen was in one of the very first PRC classes, so it was an honor to have her in the class and provide so many awesome answers and examples to the attendees. Our other lab assistant was Brent Albrecht, and he was in one of the very first PRT classes. We were very blessed to have two very experienced PRI practitioners to provide some great context during our discussions and labs. Our exploration of joint mechanics, ranging from normal, to normal compensation, to abnormal pathological compensation, allowed us to move into the myokinematic discussion of performance based on position. We had great conversations about orthotics, footwear, diaphragm breathing, and how all of those things are directly linked to lumbo-pelvi-femoral mechanics. The value of having the correct "boy band", as well as the value of the hamstring during the gait cycle, were main concepts for our group discussions. My thanks to Park Nicollet and the entire crew from that facility: Jerusha, Brigid, Laura, Deanne, Patricia, Joanna, Stephanie, and Shraddha. You all were fantastic and were great hosts, and had excellent questions. Thanks to Dr. Kris Zeller-Hack, Mary Spielman, OT, and Brain Kasel, PA-C for their attendance, questions, and interest in PRI. Jacob Talcott, Alissa Granholm, and Wendy Rader were our models during demonstrations, and my thanks to them for allowing us to learn from them. A huge thank you to Lisa Nelson, Tom Stork, Lizanne Pastore, Megan Gohlke, and Robyn Chip for their expert questions and restates, which helped everyone's learning process during the weekend. Our 10th Annual Interdisciplinary Integration Symposium is coming up fast, and over the next few weeks I hope to shed some light on my enthusiasm for this event, so that you don’t miss this opportunity if you have the same interests. These yearly symposium topics are selected based on experience and interests that developed though my patient interaction and intervention. The topic selection is further strengthened by what I have read, witnessed, and discovered using lens that have various transparencies. My perspective on the subject matter always is redefined and refined as I prepare for the symposium and as I work with each presenter and their related background and interest. As April 19th approaches, I continue to recognize the re-occurrence of asymmetrical patterns of predictable functional and behavioral resistance. We all “resist” when movement of the contralateral extremity, side, bone, etc. is not sensed moving in the opposite direction, secondary to behavioral resistance. But we should also be mindful that resistance is required for directed expansion, unraveling, unfolding, respiration and compensation. I chose the title “Postural Restriction: An Interdisciplinary Approach to Alignment of Functional Patterns” because of its influence on alignment of malalignment. Neurodevelopmental alignment, evolutionary alignment, pathologic alignment, inter-relationship alignment, and bi-pedal alignment as related to neurologic tension and soft tissue tension. There are degrees of resistance in all of this “alignment,” as there are degrees of “malalignment.” Patterns of resistance and re-tensing resistance guide and regulate us. We all need resistance for meaningful growth and meaningful freedom. Revolution sometimes is our only path to freedom, when meaningful growth succumbs to over-resistance. A balance of tension is therefore, so important to all of us and I really hope this symposium will offer insight on how to achieve balanced resistance in day to day activity. 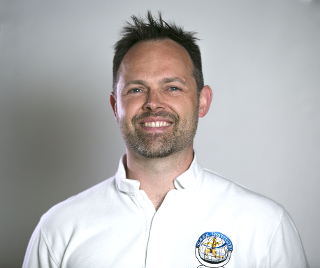 In 2009, I read an article written by Matt Wallden, MSc Ost Med, BSc (Hons) Ost Med, CHEK IV , DO,ND who was an Associate Editor of the Journal of Bodywork and Movement Therapies and I have been following him and reading his work ever since. 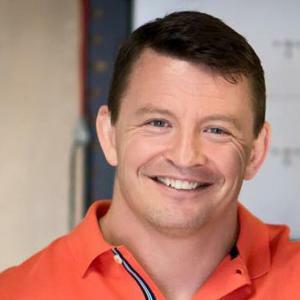 I was so appreciative of his acceptance of our invitation to speak at this year’s Symposium on “The Evolutionary Basis of Tissue Restriction” and “Clinical Assessment and Interventions for Rebalancing the Body with Tissue Restriction.” Matt lives in Surrey, UK and owns Matt Wallden Health & Performance, where he is clinically active as a C.H.E.K. practitioner, in addition to applying osteopathic and naturopathic philosophy and treatment. Matt is also on faculty for the C.H.E.K Institute. Our conversations with him have been so enlightening and I know he is truly looking forward to meeting all of you and integrate his thoughts regarding tissue restriction/resistance to clinical assessment and treatment. I personally look forward to meeting him and spending time with him and know you will enjoy his delivery and personality. Our other keynote speaker is also an osteopath and will be giving a presentation on “Archetypal Postures: What They Are and What Can Be Done To Achieve Them” as well as a discussion on “The Contractile Field: A New Model of Human Movement.” There is no speaker, writer, or individual who knows this subject material better than Phillip Beach, DO, DAC. Phillip has a private practice in Wellington, New Zealand. In addition, he has lectured internationally for several years. In 2010, he wrote a book entitled “Muscles and Meridians – The manipulation of shape.” I feel so honored that he will be here in Nebraska to discuss relationships between symmetry, asymmetry and handedness as related to our archetypal posture and contractile fields of “default movement” and patterned vertebrates (humans). I am very excited to hear him talk! Well that is a brief reflection….and over the next few weeks, I will continue to reflect on why I chose the other presenters and why they are so instrumental in this interdisciplinary engagement. This past weekend I had the pleasure of returning to ATI Physical Therapy in beautiful Everett, WA just outside Seattle. Betsy Baker Bold has been serving PRI as a hub in the greater Seattle area for many years and we at PRI were once again welcomed into her clinic at ATI with open arms for a learning adventure, this time for Myokinematic Restoration. With Erin Rajca, DPT, PRC to assist with lab and Agnes as the backdrop screen for the projector, we had a high quality environment to take in some high quality PRI movement science. Meg Tyner, DPT, ATC, CSCS from New York earned the rockstar award for her ~3,000 mile journey to Seattle! Matthew Krings, PT, Jaclyn Stoerzbach, DPT, Diane Wiggin, PT, and Stefanie Wren, PT among many others provided thorough and insightful questions regarding asymmetrical polyarticular chains of muscle and how to integrate these and other PRI principles into practice. 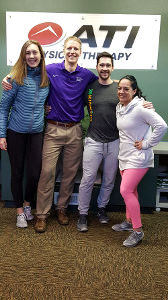 Thank you Hollie Young, PT, Jonathan Losch, SPT, Michael Murphy, DPT, OCS Kyle LaLiberte, ACSM EP-C, Alexa Degel, DPT and others for your help during the various lab demonstrations of manual and non-manual techniques throughout the course designed to attenuate and balance normally asymmetrical laterality of an AIC pattern. On Sunday morning we woke to what I understand to be a relatively large snowfall for the area. This group of attentive, enthusiastic learners not only arrived early, but stayed engaged throughout and added to course content with well-considered discussion throughout. This Instructor thoroughly enjoyed dialogue regarding origins of pathology due to compensatory patterns as well as discussions of what, when and how to address post-operative patients with the same symptoms before and after procedures using PRI principles for AF and FA movement. Thank you again Betsy, Erin, Agnes and the whole crew I learned with this weekend--and Tuline Kinaci, ATC for reminding us all that our traits are as habituated as they are innate. Once again, Seattle wowed me.